Not all of us can afford spa treatments as often as we’d like, right? To help you re-create star-quality skin care sessions at home, aesthetician to the stars Mila Moursi—who works with Jennifer Aniston, Courteney Cox, and Ellen DeGeneres and recently launched her product line at Barney’s—shares some tips. This milky substance, which honey bees secrete and feed to their larva to turn them into queen bees, is packed with antioxidants and proteins that rejuvenate and fortify the skin against UV rays, says Moursi. While royal jelly is often used in lotions, moisturizers, and other products, you can also take it as a supplement; it’s available in both capsule and gel form online and in health food stores. Moursi recommends the equivalent of one quarter-teaspoon in gel form daily. After cleansing, apply a warm cloth (dip it in warm water and wring out) to the face for a few minutes, then follow with a toner, like Mila Moursi pH Balancing Toner. Then make a DIY clay mask: combine superfine red, green, or white clay and add several drops of orange blossom water or witch hazel; you can find all ingredients at health-food stores. 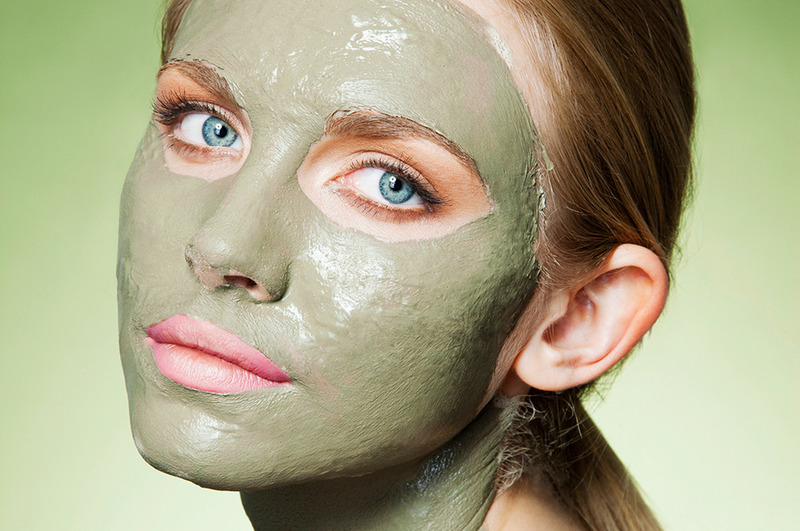 Mix into paste and apply to the face for ten minutes, or until dry. Remove with warm cloth and splash face with cool water, says Moursi. In the morning, Moursi suggests applying compresses in warm milk to closed eyes for several minutes. Then pat several drops of argan or wheat-germ oil around the eye. To diminish dark circles, follow up with half-moon lemon slices under (not in or on) the eyes. To reduce puffiness, opt instead for cucumber slices. When her clients have a big awards show or special date, Moursi recommends this cocktail: Mix equal parts raw apple cider vinegar and the juice of two lemons. Take 2 tablespoons of the tonic in the morning on an empty stomach. Stir the rest into one liter of water and sip throughout the day. “The mixture will help balance your body’s pH and will deflate bloating in skin from inside out,” says Moursi. Soak in a lukewarm bath with Epson Salt plus a few drops of essential oils (Moursi likes lavender for relaxation and geranium to stimulate the body). Then polish off dead skin with a light brushing, using a body brush.